Great adorers of Tamil film songs would always have the song ‘Naattu Sarakku Nachunuthaaan Irukku’ lined up in their favourite playlist. The song, composed by Yuvan Shankar Raja for the film Pudhu Kottai Saravanan in 2004 proved Dhanush's flair in singing. The duo is joining hands to make another hit for the upcoming film Yaakai which is directed by Kulandai Velappan and produced by Muthu Kumaran of Prim Pictures. The film is starring Krishna and Swati. The song starting with ‘Solli Tholaiyenma’ explains the mental plight of a boy longing for words of love from his crush. 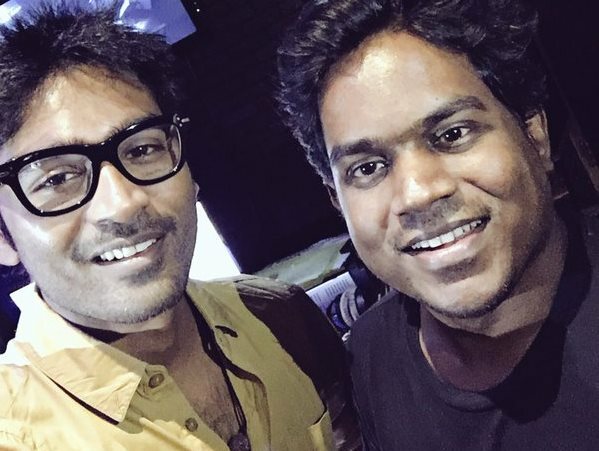 Whilst composing the song, Yuvan Shankar Raja strongly felt that only Dhanush's voice would suit. Thus Yuvan and Dhanush bonded again after 12 years for this heart-rending song . Audience are on a wait for this peppy number! !